« New recordings from the studio. Here are a few pictures from my shop. I will post a video as soon as I find someone brave enough to get that close to me when the wood is flying. 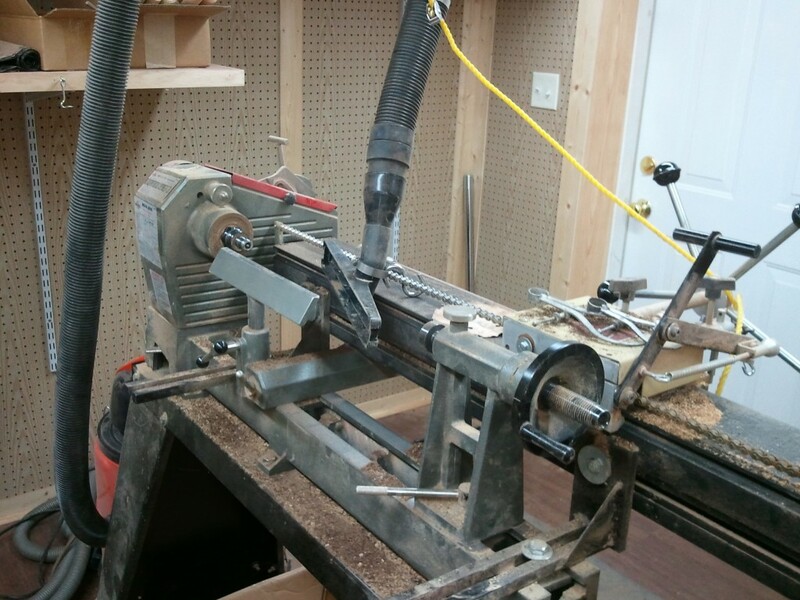 Here is a side view of my main lathe. She's a beast! Here is a front view. Notice the dust collection which is vital since some of these exotic woods are toxic when you turn them. 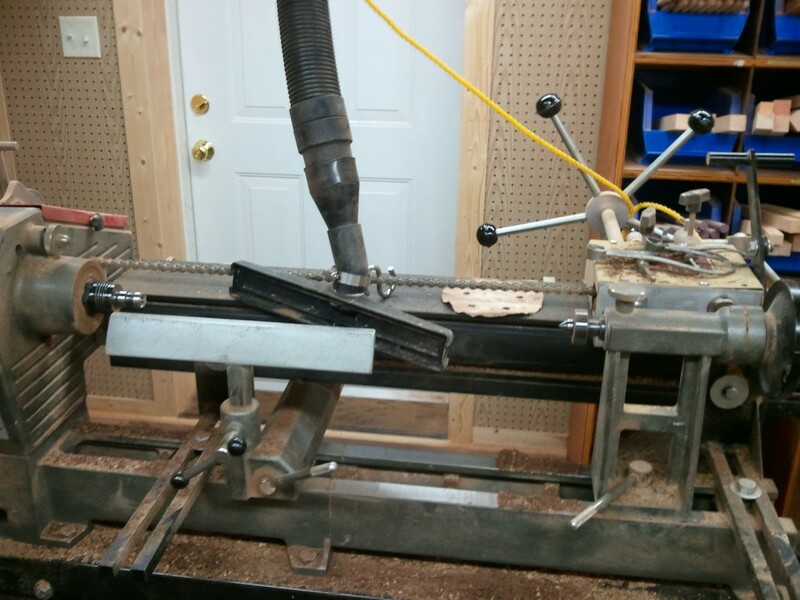 This is my quaint little custom finishing jig. 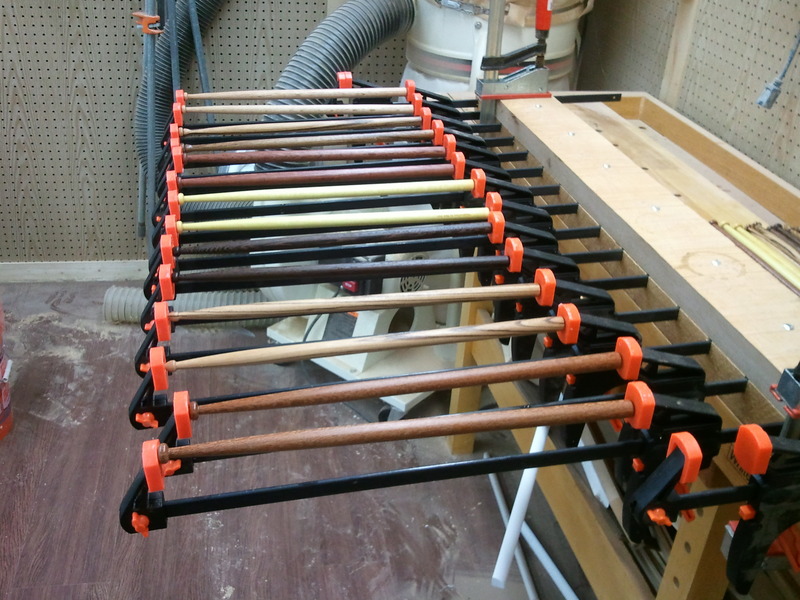 I use a special resin formulated gloss finish that really improves the stick grip. This entry was posted on Thursday, July 21st, 2011 at 9:21 pm	and is filed under Uncategorized. You can follow any responses to this entry through the RSS 2.0 feed. Both comments and pings are currently closed.